My (Azzahar) plans of going out with family was cancelled due to work commitment and not able to complete early due to communication problem between vessel Captain and myself and thinking that I would be disturbed till late night, so it's better that I go fishing till vessel departed Singapore the next morning. With Man Kerapu suddenly called to ask if I was going fishing, I agreed to it. Man Kerapu planned if I was interested to go to Pulau Ubin for fishing with everything inclusive transportation, food, bait, drinks and et cetera to be under him. I declined the lucrative offer as it would be another big major headache should I need to go to the shipyard to sort all problems in regards to the mobilisation of the vessel. In the end, we ended up planned to have a happy-happy fishing outing at Changi CP6 while chit-chatting and planning for the next upcoming trip. Went to Changi Village and found that there is abundance of wat-wat worms. Damn, it should be the best bait if this wat-wat are being used in Pulau Ubin. Once we have gotten our supplies, had a dinner and off we go to Changi CP6. Husin "Paul" Keling called Man Kerapu and later informed that we are fishing at CP6 and soon he told us that he would be joining later at night. 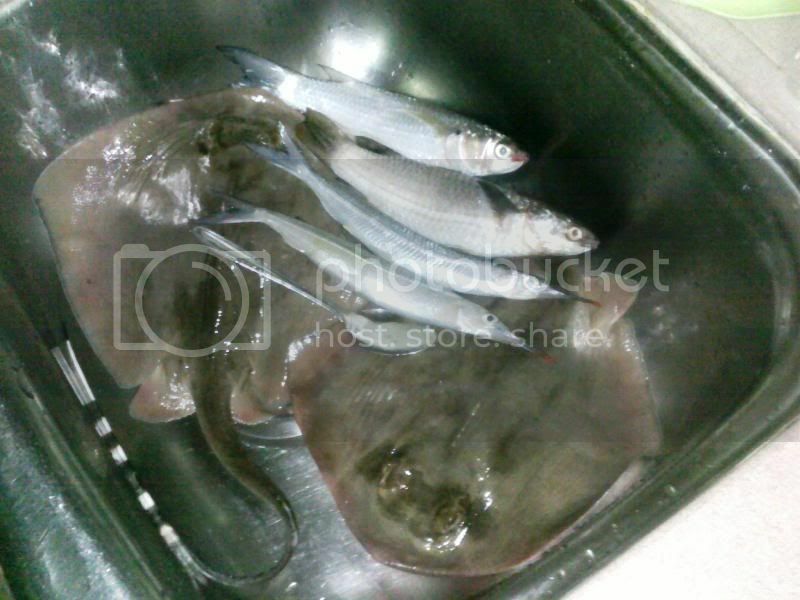 During upcoming tide at about 0300hrs, I scored a back to back sandray estimated about 1kg each before going to sleep as to await early morning call by my client to liaise for the vessel mobilisation. Since landing in the rays, it was a quiet night as informed by Man Kerapu and Husin "Paul" Keling.